Thank you to all the folks who attended or otherwise helped make the April luncheon a success! 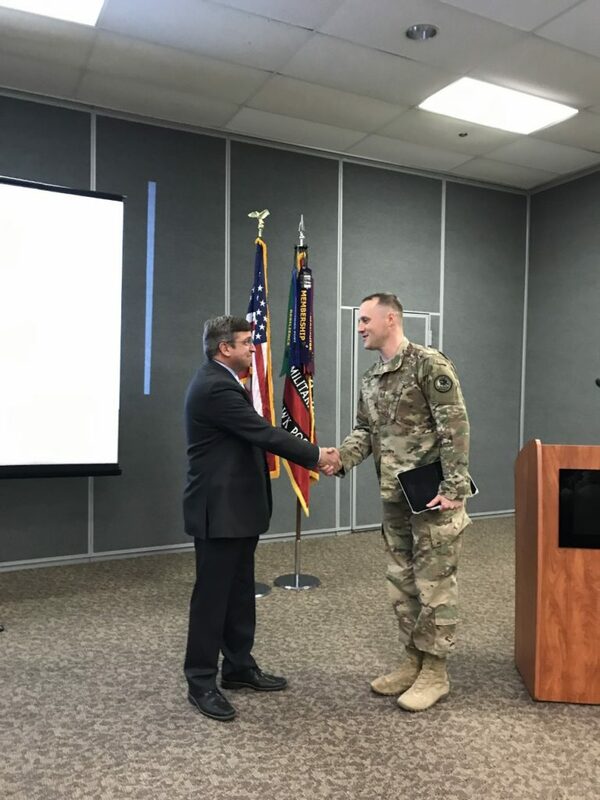 This month, the meeting featured a presentation from Capt Ryan Hill highlighting his experiences evaluating pavement during his recent deployment. Two scholarships were also awarded at the lunch. 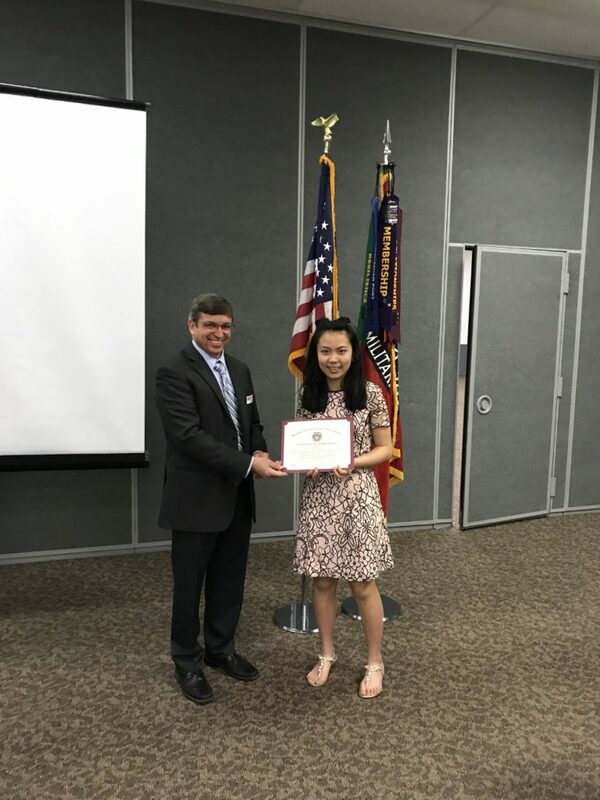 Kelly Dong is the Environmental Project winner for her study entitled “Effects of Phamaceuticals on Lactuca Sativa.” She is a 9th grader at Carroll HS. 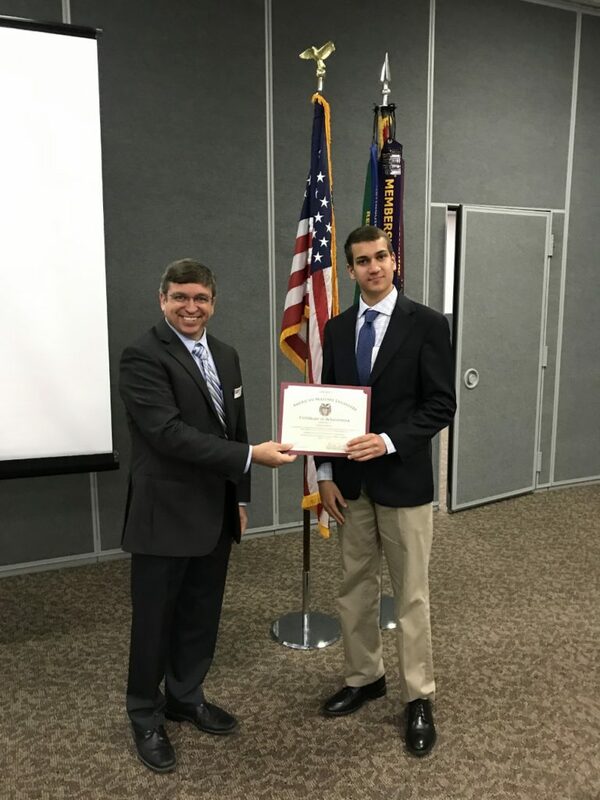 Derek Borsody is the engineering project winner for his project titled “Low Drag Control Surfaces.” He is a 10th grader at Alter HS. As always, please mark your calendars for the next scheduled luncheon and meeting on Thursday, 16 May. Please use the link on the front page to register and receive additional details. Thank you, and we’ll see you then! This entry was posted in Post Notes and tagged AFIT by Evan Dicks. Bookmark the permalink.